Wines There are 12 products. Kykladitikos Bio Dry White Organic wine PGI, 12,5%vol. 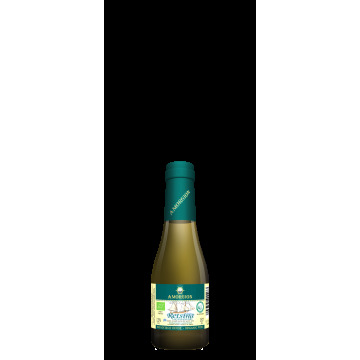 Kykladitikos Bio Dry White Organic wine PGI, 12,5%vol. 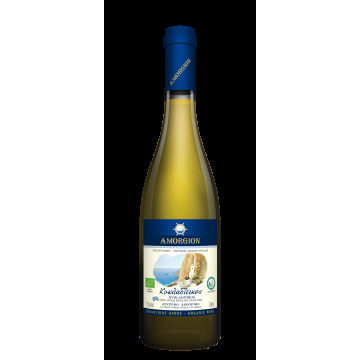 Assyrtiko is a rare white variety of world class and one of the greatest varieties which occur in the Mediterranean basin. It is a variety which focuses on the structure and density, and slightly less in the aromatic character. Brouskos Bio Dry Red Organic wine PGI. Thalassinos Bio Dry White Organic wine.The greatest wine to accompany food. Subtle but separate yellow fruit aromas and fresh cut crops, round mouth and very balanced presence. Oily with a fresh, rich, lasting aftertaste, full of freshness. A wonderful cool wine that can goes well with seafood, meatballs and poultry varieties, roast and boiled meat. Chrisafenios Bio Orange Wine Dry 12%vol. With much love for innovative products that stand out for their unique flavor, we prepared a dry white wine with a golden color, rich in tannins and polyphenols (compounds found only in red wines), which protect the body and boost heart health. Thespesion Bio Sundried, organic liquer wine PGI, 13%vol. Aged for 2 years in oaken barrel.